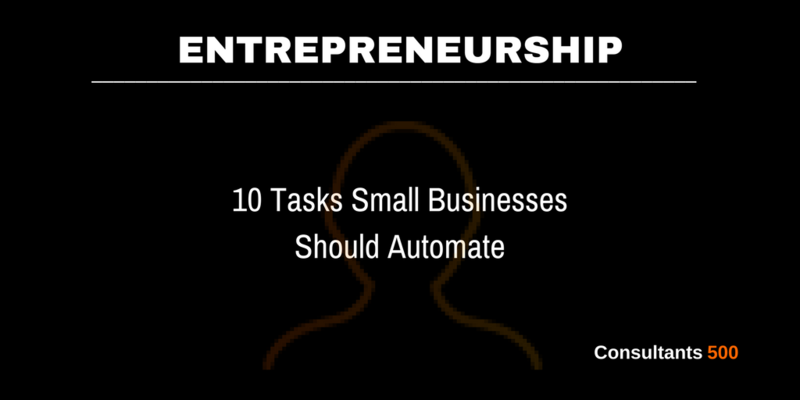 Automating your small business tasks ensures you devote more time to achieving your business and revenue goals. Over 68% of small business owners spend more time undertaking daily tasks than concentrating on their business goals. Prepare your small business for faster growth by taking advantage of technology to automate your essential tasks. Save money, time, and get a better insight into your small business finances by using accounting software. Send automated invoices like reminders, so you receive payment, store your receipts and expenses, and take care of your bookkeeping without any hassle. There is a range of online tools, such as QuickBooks and FreshBooks that provide accounting software for your business. Automate your email responses by using templates rather than typing out your reply in full. Gmail allows you to use canned responses – let people know that you’ve received their emails and will respond shortly, reply to job inquiries or other correspondence with the free email templates that Gmail provides – just choose your templates and enable your automation rules. It will save you a lot of time. Additionally, take care of your email marketing by automating welcome messages, high-quality business content and sending emails following a purchase. MailChimp is one well-known email marketing tool that will work wonders for your small business. Using social media is essential if you want to grow your reach and engage with customers or clients. Automate your social media networking by scheduling your content for Twitter, Facebook, and other popular platforms to keep your followers up-to-date with your business. Buffer and Hootsuite are just two tools you can utilize to promote your content without having to upload it every day. Delegating tasks to team members don’t need to feel like a chore. Save time by automating duties via tools like Trello and Asana. Assign tasks to your employees with notes, instructions and deadlines – if you need to attend to important business matters, these tools may prove essential. Need to communicate with team members? Try automating personal communication via online tools. Slack is a brilliant platform for direct messaging, sharing videos and information on specific projects, as well as many other tasks. Great customer service is vital for boosting your business’s reputation with consumers. Automate your customer support with feedback, ticket tracking and insight into your business analytics. Zendesk is just one reliable platform for providing customer support automation – enhance your brand reliability and ensure your customers or clients are 100% satisfied with your services – good customer support encourages business loyalty. Scheduling appointments and meetings can be hectic, especially if you lead a busy work life. Avoid the hassle that comes with constant emailing and calling to find a suitable date and time and use a tool that will sync everyone’s itinerary. Google Calendar allows you to schedule appointments with ease. Whether you need to manage meetings with others or increase your productivity by scheduling time for important tasks, planning your workload will improve the efficacy of your small business. Collate important data on your customers and clients by utilizing an automation system. Gathering your own research and taking notes on your clients can be time- consuming for small businesses. Instead, use forms on your website to obtain useful information on what your clients are searching for. You can then use a platform – HubSpot offers a valuable automation service – to segment your clients and deliver actions that will develop into leads. Generating and approving proposals can be challenging, especially as there are many people involved. Reduce the amount of time spent on proposals by incorporating management software into your small business. With a program like PandaDoc, you can merge your tasks into one space, establish templates for proposals, so you don’t need to begin from scratch with every new project, and simplify your system to synchronize your proposals with marketing, sales, and other departments. As a small business owner, you probably have access details to a range of websites. Remembering all your passwords for social media, banking, and other accounts is a challenge. Luckily, password managers are a handy solution. They help to keep your personal information secure and can construct secure passwords, so your accounts are 100% safe. Imagine losing all your hard work because of a virus or issue with your hardware. Protect your small business by storing your data on the iCloud. If your computer or network then crashes, you can restore your information immediately, and your business won’t suffer. These ten fundamental tasks can eat into crucial business time, limiting growth and output. However, having systems like these in place is a great way to boost your business’s worth, especially if you decide to sell it one day. Using automation systems and tools will help to streamline your productivity to ensure you spend fewer hours on processes that can be computerized and more time on developing a successful business. Jock Purtle is the owner of Digital Exits, an online brokerage service that works with online businesses and brick-and-mortar businesses. He has been featured in numerous podcasts, Forbes, and many others. Jock is an expert in business valuations.